Stylish River Park Single Story Residence with Pool! 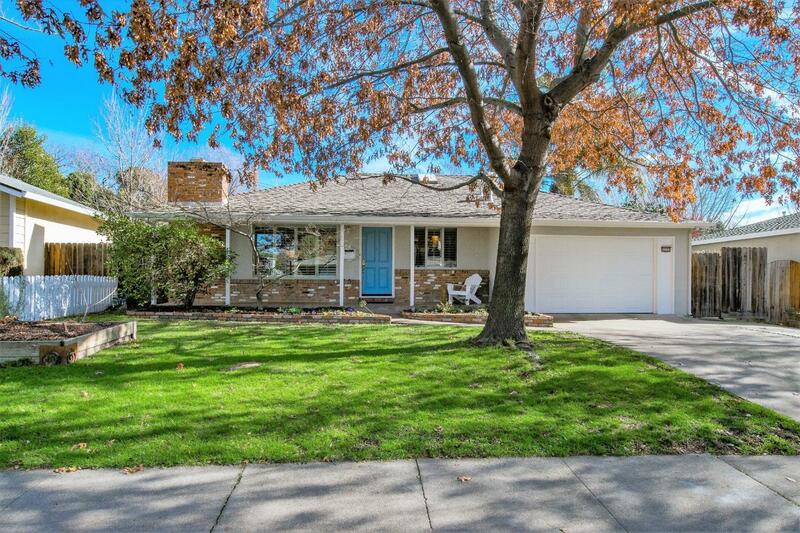 Ripe with curb appeal and a prime location, only a short walk to the American river, and only a few blocks from Glen Hall Park and Caleb Greenwood Elementary School. Enjoy flexible interior living spaces enhanced by natural light. The thoughtfully designed kitchen features a Miele dishwasher and oven, Wolf gas range, and ample cabinets/storage. The family room looks out onto a lushly landscaped backyard with a swimming pool as its centerpiece, surrounded by an attractive stone deck perfect for entertaining, raised flowerbeds, and producing Meyer lemon and Mexican lime trees. This inviting home has been meticulously maintained and is move-in ready.